If you ask me why i bought the skirt featured here- its none of the above reasons! The colors are vintage- like an old sheet of paper, painted with organic colors . These are the prints i can carry all year long and happily so. cousin , the divided skirts. As little girls each one of us has played in frilly frocks and socks. 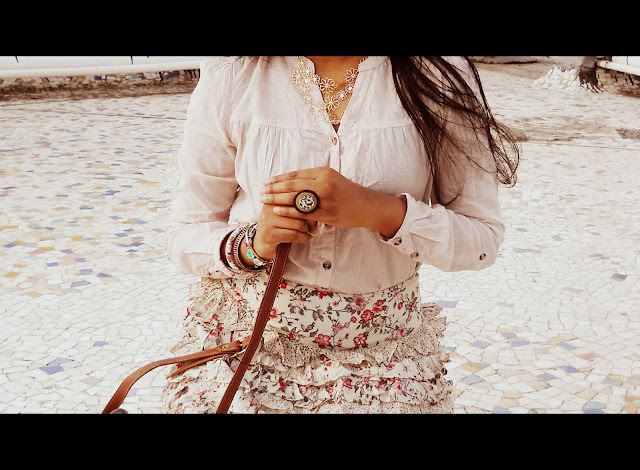 And this skirt just reminded me of those days. This one exudes a fun and flirty vibe. 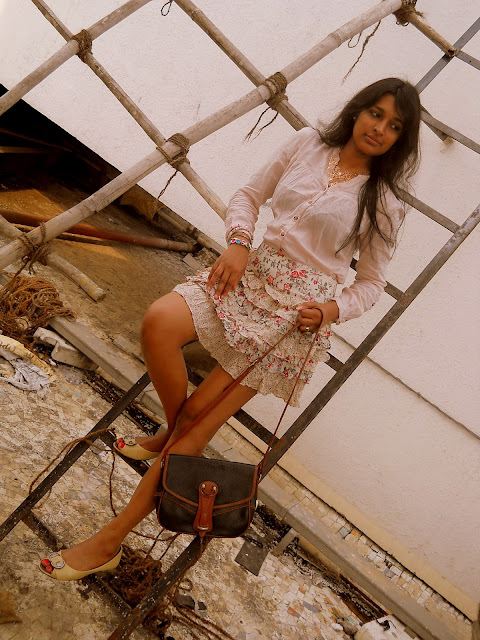 Summers anyways call for more airy dresses and i am wanting to do more such posts but for the lack of a camera. I thought i would share this shoot which was done last July. Since it summer, i teamed it with a full sleeves cotton tunic tucked inside . Not only to save my hands from a tan but also to add a little sophistication to the whole look. but that should essentially be indoors or the sun will do you wonders!!! A delicate floral necklace is added to further up the sophistication quotient! In a casual day wear you can team it with scarves in solids or simple pendants in gold or candy colors like red & pink . The choice of a bag can create a variation in the look.A leather bag makes it look classy while a cream colored side sling makes it look a bit carefree. So which is your favorite Frill piece/skirt that you own? 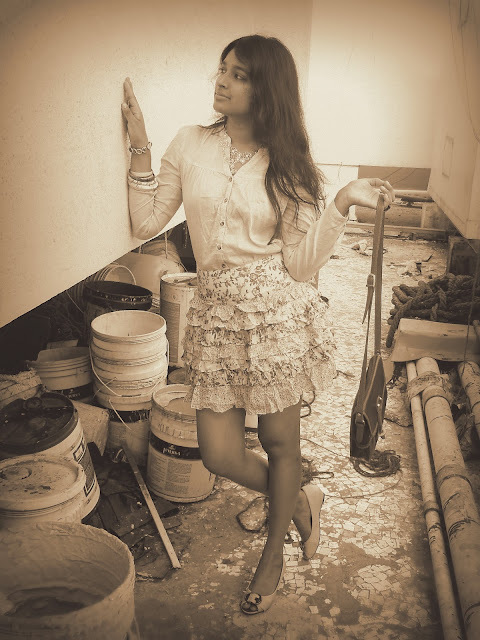 loved d skirt....n d cutiepie necklace.....!!! u have something wid florals dont u??? I think its not just me, come to India and you will see every other shop flooded with florals. thanks girl.So good to see you here after long.